In this article, We will talk about how to remove shortcut virus from pendrive. Shortcut Virus is a little program which is able to corrupt our file as well device. There are many way to remove shortcut virus from SD Card. In this time our various works depend on computer and we use computer in daily life to entertainment our self, online shopping and online education. Most of our time spend on Internet which is very big place of virus, malware and other spiteful activities. We download/transfer data from internet then there is big chances of coming dangerous virus. So There is need to secure/protect our computer with best antivirus. you should download BEST ANTIVIRUS FOR PC to protect your computer. If we transfer files from virus infected pc then Pendrive also infect with virus and make Shortcut virus with random name like (Movies, Audio, Shortcut). These shortcut virus have fully control to destroy your files/folders and also it can corrupt your pendrive. Sometimes we can’t format pendrive because of these shortcut virus. You can check my another post on BEST WAY TO FORMAT PENDRIVE . Here i am sharing five tricks to remove shortcut virus and secure important data from virus. There are two types of shortcut virus that can corrupt your Pendrive and PC. File/Folder shortcut virus is very dangerous virus. This virus get access to computer folder and generate new file/folder shortcut virus to all folders. File/Folder largely comes from virus infected Pendrive. So i highly recommend you to regular update your antivirus and scan pendrive every time after inserting. Flash Drive Shortcut Virus is known as Trojan virus. Flash Drive shortcut virus is a hidden virus. This virus can access your personal details like password, debit card and credit card information and it automatically send to its creator (Hacker). Use below method to remove shortcut virus from Pendrive. This method is to remove shortcut virus by using CMD. 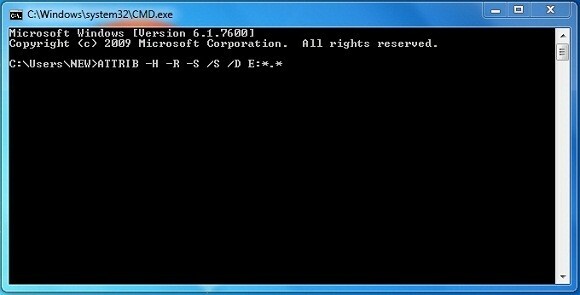 Ya.. You can remove shortcut virus by Command Prompt program. This is one of the best method/step to remove shortcut virus without software. If your Pen Drive location is E then type E: in Command prompt. It will remove Shortcut virus from pendrive. ATTRIB means attributes of drive. -R means recreate the files on storage device. -S means broken file/folder link from system. Smadav Antivirus is the best choice to delete virus from Pen Drive. Smadav will start scanning for shortcut virus just after inserting Removal disk. This is best tool to show hidden files/folder and can remove autorun file and shortcut files from PC or Pendrive. Select all shown file (virus) and delete them. Remove Shortcut Virus from Winrar..? Ya really you can remove virus from removal disk. WinRar is the best tools for compressing and it will show infected file by shortcut virus. Firstly download Winrar Software and install in PC. Insert Removal disk or SD card in PC. Then Create a Winrar file by adding all the files to archive. Format pen drive then Paste RAR backup file in pen drive. Yahooo..!! Your Pen drive is free from virus. USB Disk Security is another shortcut virus removal program. You can say USB Disk Security is best alternative of smadav Antivirus. Disk Security is best virus scanner program which protect removal disk from Trojan horse virus, shortcut virus and malicious activities. This can be use to secure disk with password. Firstly download USB Disk Security and install it in PC. It will automatically scan shortcut virus and delete them. 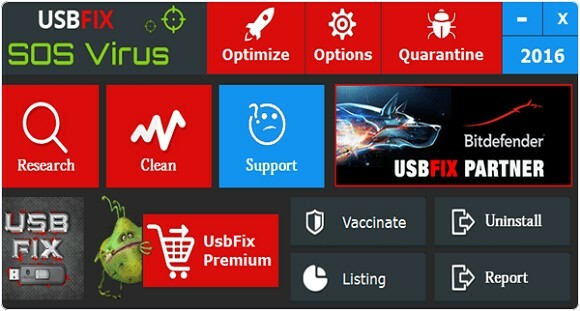 USB Fix is a light weight utility program which is used to remove the shortcut virus from our USB and fix USB drive problems. It has simple interface and easy to use tool which is compatible with all version of Windows. Firstly download USB Fix program and install in your computer. Before opening this tool, save and close your work otherwise it will automatically close all task before scanning the computer. 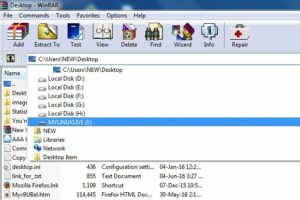 Plugin the removal disk (USB drive) and Hit on Clean button in USB Fix Program. 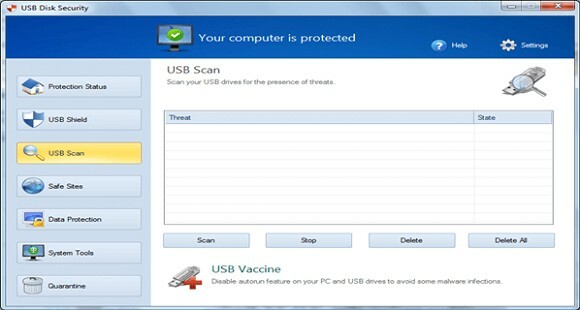 USB Fix tool will scan USB drive and it will delete virus automatically. I hope you got the best method to delete shortcut virus from pendrive easily. If you have any problem regarding shortcut virus removal then Comment below we will try to solve your problem. It’s very helpful, thank you ..